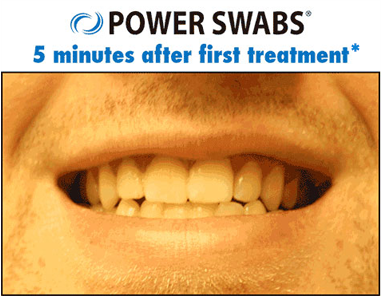 Meet Power Swabs employees who whitened their teeth. They used the swabs for just five minutes before bed every night for one week. Check out their whiter smiles! 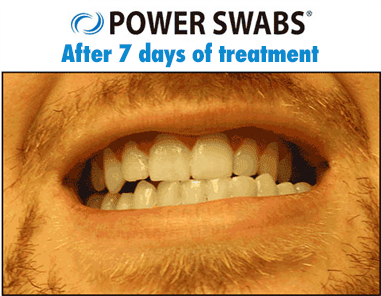 Dr. Martin Giniger's Power Swabs® are unlike any other teeth whitening products on the market, giving professional teeth-whitening results that rival those of a cosmetic dentist, all from the comfort of your home. 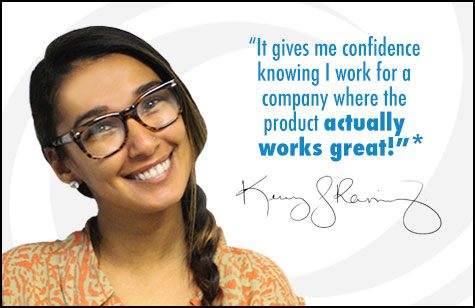 Its ingenious technology is bound to reform the home teeth whitening experience! The whitening swabs are quick and easy to use with results of 2 shades of improvement after the 1st application in 5 minutes *. 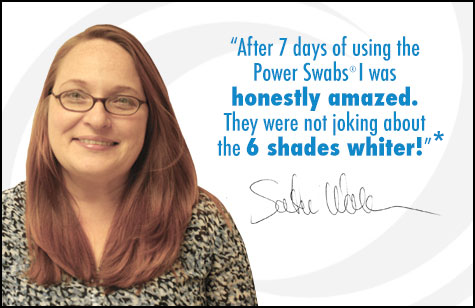 Power Swabs®’ unique formula is so gentle that it can be used on natural teeth as well as cosmetic dentistry—including crowns, dentures, veneers and dental implants that may have resulted from a past tooth extraction. 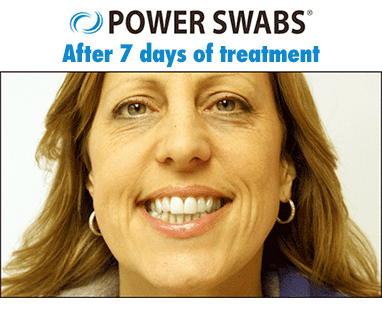 Below are results from clinical studies with Power Swabs® users.